Glitter In The Grey: A Little "Board" in the Bedroom? A Little "Board" in the Bedroom? Ok, I know what you're thinking- why, we've just met... that's really none of your business! Don't worry, I'm not going to pry into what's going on in your bedroom- I'm just going to tell you about what's going on in mine! Maybe it's the change in the weather, but I'm feeling the need to really update my bedroom- to add some pops of color, brighten it up- and most of all right now I'm OB-SESSED with headboards. They are such an easy way to pack a big decorative punch and can be such an individual expression of your style. 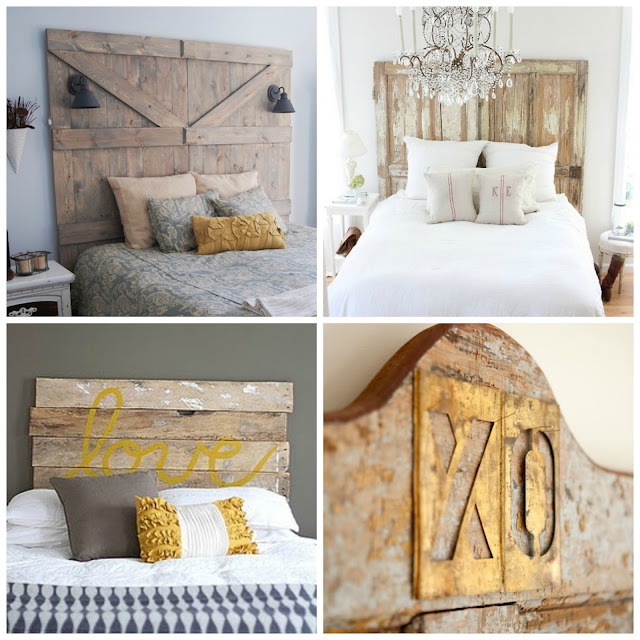 Whether you like a classic fabric headboard, a DIY repurposed wood, or my favorite- the vintage mirror (swoon!) you can completely change up the look of your room (or your kids' room) just by changing up this one piece! 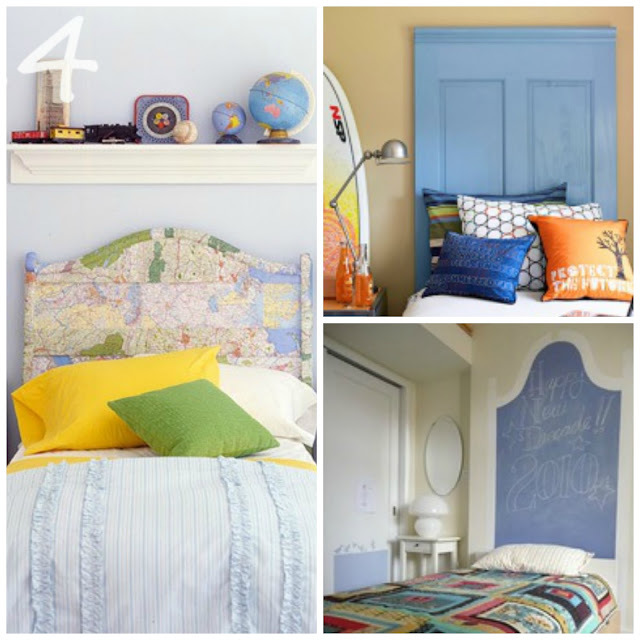 Get a bright accent pillow- and voila! a whole new look! Love these ideas! Cam will need a headboard soon and I think the one with the chalkboard might be the ticket. Going to add a basketball hoop too! Lynn, chalkboard will be perfect for cam! And re gold sneaks, mine are target. Very comfy for all day walking. I'd take them toEurope if I was lucky enough to be going for sure!